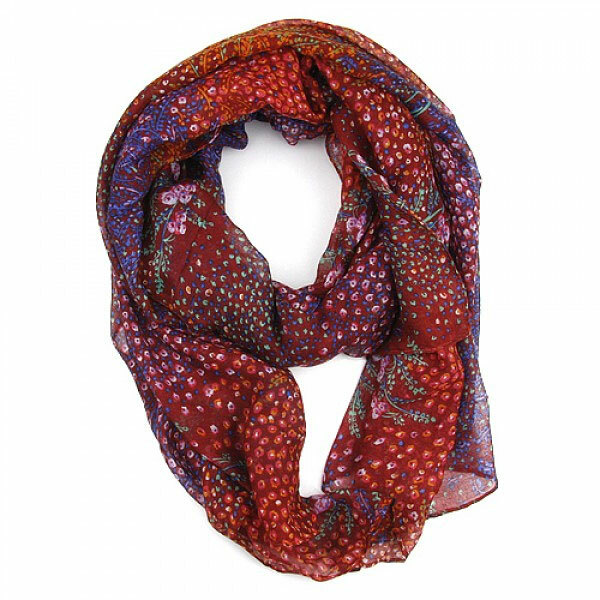 Colourful, pretty and very reasonably priced ditsy floral print scarf. This is a soft scarf which is very comfortable to wear. 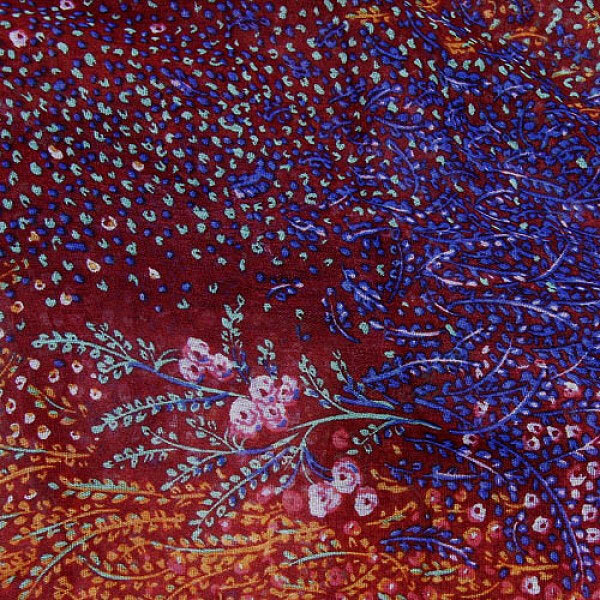 Red is the base colour on which there is a design of sprays of leaves and flowers in blue, orange, pink and an aquamarine tone. 100% polyester. Hand wash separately.